T-Shape: RIT Strategic Plan Difference Maker 1.1: The campus received the final report from the T-Shape Graduate Tiger Team; please find it here. The report is incredibly thorough and thoughtful and is a terrific summary of the literature on the T-Shape professional. Tiger Team co-chairs Jim Hall and Jody Boita are preparing an action plan based on the report. When completed, the action plan will be posted and shared. 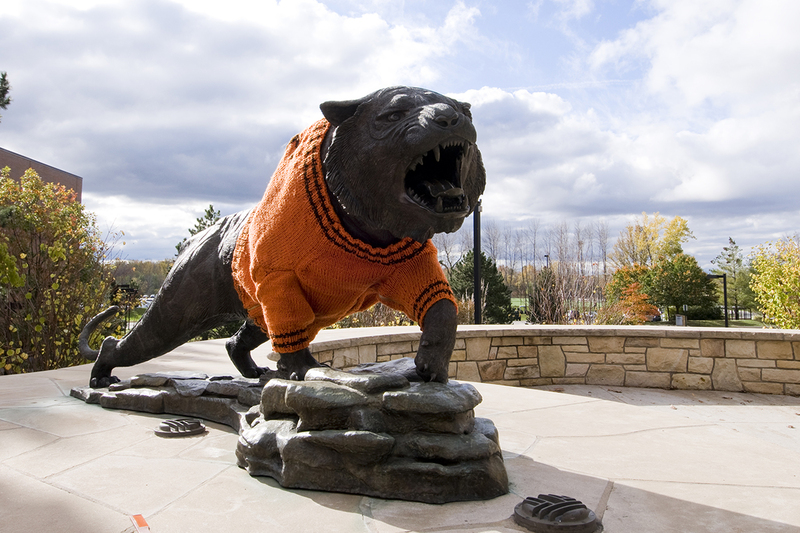 Graduate Education: RIT Strategic Plan Difference Maker 2.4: The Graduate Education Taskforce submitted its final report and recommendations. As with the T-Shape report, the co-chairs – Twyla Cummings and Diane Ellison - are developing an action plan that will be shared with the community. edX: RIT recently enrolled its 300,000th edX learner in one of three major offerings (XSeries in video game design, MicroMasters program in project management, and the MicroMasters program in cybersecurity). This makes RIT a top-4 edX consortium partner! I am also very excited that we have enrolled our first MicroMaster-certified student into our MS in professional studies program. I view this as significant since it lends evidence (albeit small) to the idea that the MicroMaster programs are a way for RIT to recruit top-quality students. a2ru: a2ru is a national consortium of premier research universities united in the principle that the arts should be fully integrated within all disciplines, especially the technical fields. President Munson, while dean at the University of Michigan, was a founder of this organization. Learn more about the mission and partners of a2ru on the a2ru website. Professor Susan Lakin (CIAS) is the RIT liaison for a2ru and is eager to hear your ideas regarding this new collaboration; please share your thoughts by emailing her at srlpph@rit.edu. 2016-2017 AA POW Report: The 2016-2017 Academic Affairs Plan of Work final report is available online. As you can see, it was a productive year with a number of accomplished projects including a new dual career initiative, an administrative policy to support the RIT Family Leave policy; a first run of the Graduate Program review process; and a highly successful symposium on artificial intelligence. Wallace Center and Innovative Learning Complex: As President Munson mentioned in his address to the community, rethinking the Wallace library, modernizing and renovating it, and addressing new ways of active and engaged learning is an exciting opportunity for the RIT community. The Wallace library and innovative learning are at the very core of academic life at RIT. A focal point for Academic Affairs this year will be to conceptualize on how the new complex can become a beacon for engaged learning at RIT. There are two reports that a team of faculty and staff developed and they are worth reading. You can find them here and here. You can also view the presentation I gave to the RIT Board of Trustees about the Wallace Center and Innovative Learning Complex. Space: As you may have heard, RIT commissioned a consultant to conduct an Academic Affairs space audit and the final report is in the last stage. The preliminary report indicated that, as we all have come to realize, there is a shortage of research and classroom space due to our enrollment growth and research commitments. Vetting this report and developing a strategy to address the shortage will be major part of my activity this year. Look for more information in the coming months. T-Shape: I look forward to receiving the action plan for our T-Shape initiative and discussing this across campus. There is a marketing opportunity for RIT as it begins to implement this initiative and in collaboration with the Marketing Division, we will be looking at ways to brand it accordingly. As the future of work becomes increasingly complex and uncertain due to automation, artificial intelligence, and the changing relationship between employer and employee, our work in this space is a game-changer. Unconscious bias: Several months ago, Sandy Johnson, Keith Jenkins and I charged a university-wide committee to recommend how we might make awareness of unconscious bias in university decision-making a priority. At approximately the same time, Sandy and Keith also charged a team to make recommendations as to how RIT might report and respond to explicit bias incidents. Over the summer, we asked the co-chairs of these two teams to come together and synthesize their findings into a single report. I look forward to receiving these recommendations and discussing theme widely with the RIT community. College and Department Visits: A priority for me is to make a number of visits to colleges and departments this year – listening to ideas from the faculty and staff. If your department or college would be interested in a dialogue with me, please email me at jeremy.haefner@rit.edu. One last thing: We are aware that the class start times during the day are a concern to many. I look forward to discussing this issue and entertaining a return to on-the-hour start times. Please look for more information and opportunities to engage in discussions at Academic Senate. To a great fall semester!